The Tri-Valley wine region is a beautiful area of California. Nature preserves, hiking, and of course rolling rows of grapevines evoke the Mediterranean. But there’s another architectural feature in the area that surprises and delights: the Livermore Temple. Home to the Hindu Community and Cultural Center, the Livermore Temple brings a distinct and cherished heritage to the region with its services and events. Hindu culture is rich and fascinating. The Livermore Temple holds spiritual services, religious services and devotee residences. For a full list of weekly and monthly services, click here. 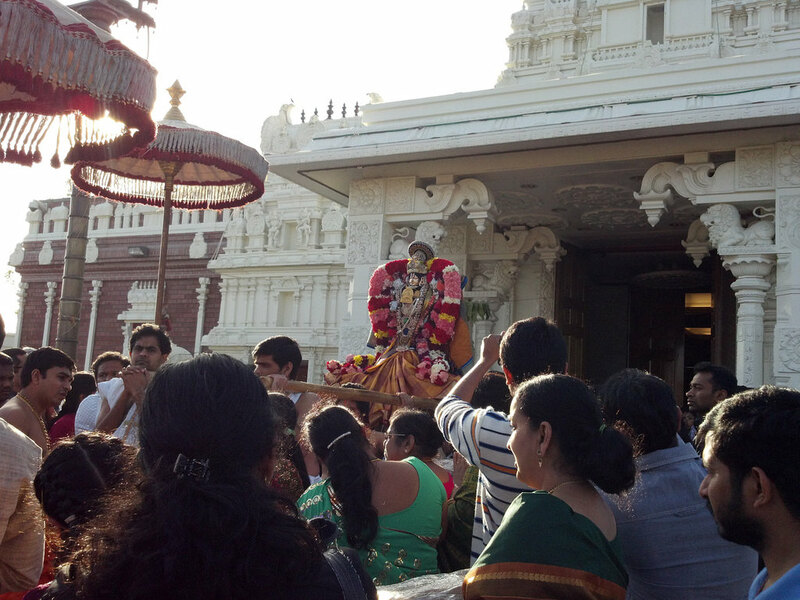 With its focus on Human Services and Youth and Education, the Livermore Temple is a wonderful haven of cultural learning for anyone interested in Asian-Indian Hinduism. The Livermore Temple takes is cultural relevance very seriously. Their charter includes supporting vocal and instrumental programs of all south and north Indian styles, classical dance programs including Bharatanatyam, Kuchipudi, Odissi, and other forms including live Garba dance programs. For upcoming performances and events, check the Livermore Temple events Facebook page. Visiting the Livermore Temple offers architectural interest, but it also serves as a place of peace, harmony and kindness. Run by the Livermore Temple community, an extensive list of community programs promote these values. We hope you’ll choose The Purple Orchid to provide your restful, rejuvenating accommodations for a relaxing visit to Livermore. Get Ready to Conquer the Beautiful Murietta Falls Trail!